Henry Cavill (Man of Steel) will be joining forces with Armie Hammer (The Lone Ranger) in Guy Ritchie’s The Man from U.N.C.L.E. You can check out the new trailer below. The film takes place in the’ 60s and stars Cavill as CIA agent Napoleon Solo and Hammer as KGB operative Illya Kurykin as they both try to stop a mysterious criminal organization from spreading nuclear weapons. Oh look, Hugh Grant is in it. The Man from U.N.C.L.E. hits theaters on August 14, 2015. 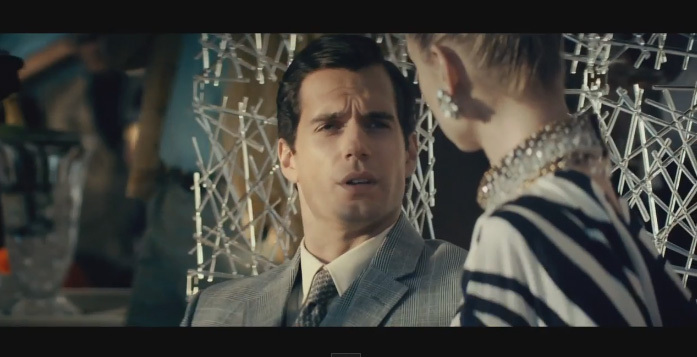 Tags Armie HammerHenry CavillThe Man from U.N.C.L.E.